4. A little bit of “strong black woman”-isms going on, such as a lack of focus on Abbie’s Witnesshood, becoming the second banana to Katrina, and–one that really got under my skin–was Ichabod telling Abbie to protect Katrina on a mission. First of all, if Katrina’s such a powerful witch, she doesn’t need another woman to protect her. Secondly, it places Katrina in a very disturbing position of power and Abbie in a just as disturbing subservient position. In a weird way, it’s very much what Katrina and Ichabod–for all of their abolitionist ways–would have been used to in the 18th century; the black maid helping/protecting the white mistress of the house. More specifically, how she’s written is mucking stuff up. If I can unpack the hashtag movement a little bit, I believe some of the outrage is less about Katrina the Character and more about how she is written to behave and how everyone is written to react to her. It might not seem like it, but a lot of the issues that have cropped up are a trickle-down effect from so many episodes being centered around an ill-defined character. As a character, Katrina is consistently the weakest, but she’s been really weakened down into an antebellum stereotype of a “pure” white woman. We are constantly told that she’s a “powerful witch” and Ichabod believes she could help them save the world. 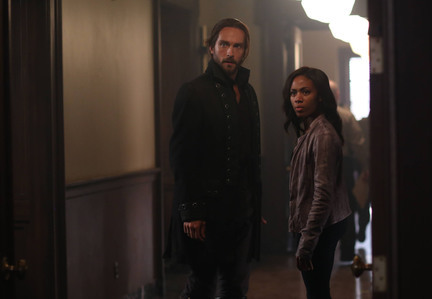 But she’s constantly put in situations where she has to be saved, either by Ichabod or Abbie (or both). Ichabod (via the writing) also robs Katrina of any chance to do anything for herself and to be her own woman (something Abbie constantly has to remind him of). Katrina’s “special snowflake” treatment also creates a weird version of Ichabod to emerge. Ichabod loses a lot of his pep when interacting with her. This dynamic might have less to do with writing than it does actual actor chemistry, because every scene Tom Mison is in with Nicole Beharie is electric, even when their characters are arguing about something. Mison and Beharie were specifically cast for their chemistry; they are the heart of the show. While so much attention was put upon who would play the Witnesses, it would seem that less was put on who would play Ichabod’s wife. If Katrina and Ichabod had just as much chemistry as Ichabod and Abbie–and if Katrina was written as her own woman instead of a plotpoint for men–then I think the deck would be more evenly stacked and there could be a true test of loyalties for Ichabod. It would seem that to make room for Katrina, Jenny and Irving have been shunted a bit, which doesn’t make a ton of sense. Jenny, Irving, Abbie and Ichabod are the only people in this show that have ever actively stood up against evil, killed demons, made plans that work, etc. Unfortunately, Katrina’s generally shown as a non-player or a person who fronts overtime but still hasn’t shown the full extent of her powers for whatever reason. Her non-playerness is even worse now that it seems Abbie’s got some witchy powers herself. 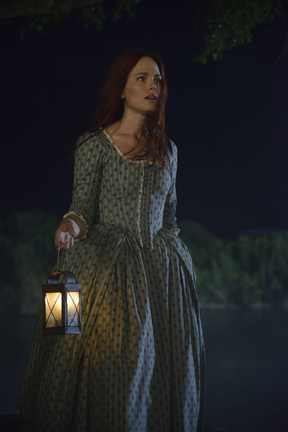 If Abbie’s also a witch–and seemingly a more capable one, too–then what’s the real point of Katrina? It’s amazing that one single character and how she’s been written has caused fans and several entertainment outlets to write think-pieces and give advice on how to fix the season. But now, with the upcoming Mills family-centric episode “Mama” about to air, it’s time to take a quick breather and see what the rest of the season holds. One reason I think we’ve had so many filler episodes and this Katrina-and-Abbie debacle is because this season is 18 episodes whereas the last one was a lean 13. I think the writers, exec. producer or someone had alluded to the type of challenge it would be to write more than 13 episodes. In this regard, I cut the writers a bit of slack. Also, as TV Juriste has written, this season is, for the most part, already written and filmed. It’s important that the fandom understands that part because if something else happens later in the season concerning Katrina and Abbie–something that’s already been written and filmed months before the uproar–then it’ll be #AbbieMillsDeservesBetter all over again. 1. With the advent of social media and actors and writers who interact with their fanbase, fandoms now wield much more power when it comes to telling the writers what they want to see in their programming. The watchers are the customers, after all. You have to make sure you’re reflecting what they want to see, otherwise, they might tune out. 2. If the writers are planning on keeping Katrina, they’d better transform her into a much more likable character than she is now. As I’ve mentioned somewhere before, being likable doesn’t mean being nice. She can certainly be totally evil and be likable, like Henry. But she can’t be Scarlett O’Hara in witch form. Or, if they want to be quick about their dealing with Katrina and appease the fanbase at the same time, then just sacrifice the character. I’m sure that’d be a tough call to make, but, to be honest, what is there left to lose? Much of the fandom is annoyed with her, the press is annoyed with her, and social media nearly caught on fire because of her. Personally, I’ve never seen a character this hated since Diane Chambers from Cheers. I don’t see much that can be salvaged as long as Katrina continues down this road towards fandom oblivion. This is me being kind about this. Other writers have seen the hashtag campaign as well, and I’m sure the majority of them are adamant about getting the show back to what made it great. Let’s offer a little compassion now. The take-away lesson for future fan activists, remember – producers and writers are humans, too. Under the best of circumstances, it’s hard to hear criticism of one’s work. Sometimes a perfectly good message can be lost if the tone used to convey the message puts the person on the defensive. Very few writers are actually trying to be offensive. Most people want to do good job. Keep these things in mind when framing how best to inform writers/producers of your concerns. As for TV producers who find themselves on the receiving end of this type of campaign, if you are fortunate enough to have avid fans who actively discuss your program on social media platforms, don’t get defensive. Interpret fan criticism as proof you’ve created compelling work. Fans only take time to think and tweet about material if it’s engaging. If there’s anything that worried me during the campaign, it’s that some could be taking their frustrations out on the writing staff (and possibly Katia Winter herself) in the worst possible way–by offending them. I haven’t written for a show, but I’ve written television spec scripts before. In my limited experience of doing so, I can tell you first hand how hard it is to come up with one plot, let alone several, like the Sleepy Hollow writers have to do. This is why I brought up the business about the season being longer than the last one–can you imagine having to come up with a fantastic arc for your characters and you’ve only got a couple of months? There’s bound to be some episode ideas that get the OK simply because it seemed like a great idea at the time and after you’ve written the script, revised it, and finally get it okayed, there’s not enough time to go back to it and obsess over it. You’ve got to go on to the next one to meet your writing deadline because then, the actors need to get to it and memorize things in time for filming. Also, writers are humans–not all of us can see every point of contention that might come up about a storyline, even ones involving tropes. 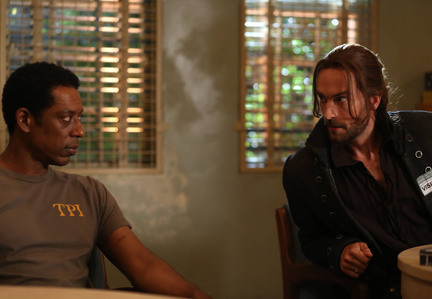 Did Ichabod telling Abbie to protect Katrina come off wrong to me? Of course. Could this have been addressed in the read-through? Possibly. But it would seem that everyone let this moment fall through the cracks simply because that’s what happens sometimes. 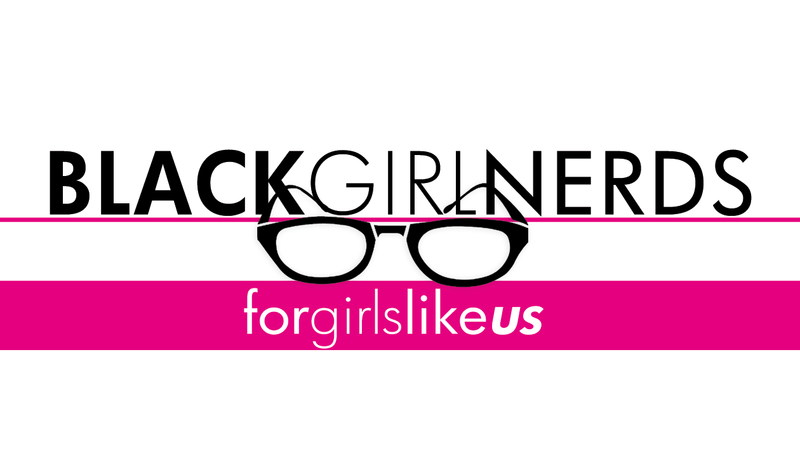 It’s very easy for us, who sit on the couch and watch this, critique the show down to the ink the script was printed on, but when you’re in the trenches, it is sometimes tough to see issues until after you step away from it. Again, to use myself, I didn’t realize I had written a character to be intensely offensive to another character until it was read out loud and people reacted to it. I was mortified, to say the least. But I learned from it and became more mindful of my character’s thought process. @CherryCinnaMoon making broadcast tv is just hard. :(. Also, Katia Winter’s also got feelings, too–I wonder how she’s feeling with every one with a voice on the internet critiquing her character to dust. It must not feel too good. Just like it’s important to realize the writing staff have to take this on the chin, it’s equally important to know that Winter’s feeling the brunt of this, too. Throw a little empathy her way as well. Okay–I’ve written enough about this. What do you think about all of this? Give your comments below! Your words ring true and are expressed most beautifully. Remember though, life can be difficult and, at times, hard to endure. Viewers do not watch television to feel bad and have their thoughts insulted. Writers get paid to do their jobs. If they fail, fewer people watch their shows. Sleepy Hollow writers have not done a good job this season and must face the consequences of their malfeasance. Fans have little time for comapssion as they attempt to survive in a world that can be very cruel. Most prefer not to see cruel thrust at them through their television screens. I do not care to watch Sleepy Hollow ever again. This week’s ep., “Mama,” was actually the best one yet, so I feel sad if you missed it! Don’t give up on it just yet, but if you don’t have to take my word for it. Great article. You pointed out everything wrong with the show as well as the ugly side of the fandom (tumblr) and yes, I was disgusted, and continue to be disgusted by the behavior of some in the fandom who are just vile and outright cruel. It’s one thing to express concern, another thing to attack in a vicious, childish way. I’m looking forward to the rest of the season. Thanks! I’m glad you liked the article. Journalism calls for fairness (or at least it did before 24-hour news coverage), so I had to give it to both sides, just like I was taught.